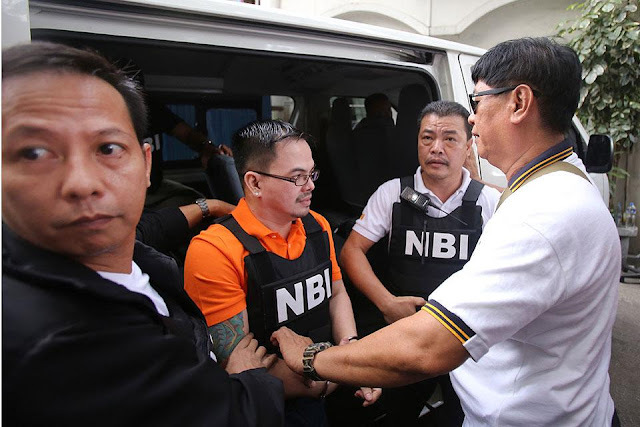 MANILA -- Malacañang has expressed elation over the Department of Justice’s (DOJ) decision to indict self-confessed drug dealer Rolan “Kerwin” Espinosa and convicted drug trafficker Peter Co and their alleged associates. “The Palace is very pleased that the wheels of justice are turning to hold them accountable,” Presidential Spokesperson Harry Roque said in a statement. Last Thursday, a DOJ panel of prosecutors found probable cause to file charges against Espinosa, Co, Marcelo Adorco, Lovely Impal, and Ruel Malindagan. The finding reverses an earlier DOJ decision to dismiss the drug case against Espinosa, Co and several others for alleged lack of evidence. The dismissal angered President Rodrigo Duterte, prompting the DOJ to reinvestigate the drug case. Former justice secretary Vitallano Aguirre II had resigned at the height of the controversy. He was replaced by Secretary Menardo Guevarra. The new prosecution panel is composed of Senior Assistant State Prosecutors Juan Pedro Navera, Anna Noreen Devanadera, and Prosecution Attorney Herbert Calvin Abuga. The panel gave weight to the testimonies of Adorco who named Espinosa, Co, Impal and Malindagan as his cohorts. It also considered Espinosa's confession that he is a drug dealer in Central Visayas.